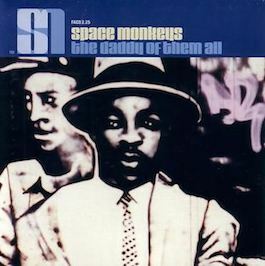 ** Re-released in May 1998 with the cover changed to that of the US release. The graffiti image of Martin Luther King had to be withdrawn in the US due that all images of MLK are copyrighted by the family of MLK. Although the change was only required in the US, Factory decided to make the change to all versions of the album. *** The CD contains "Awaiting Mr Crow" as a hidden extra - 6 minutes into track 66 (i.e "666"). There are 97 tracks in all, most of which are blank. Tracks 12-65 and 67-97 are empty (4 seconds each). Notes: The Factory web page v1 originally suggested that 2.25 was to be a release by Khalique titled 'Asian Man', including the track 'Sids Tune'. Apparently completed ("Production by Jed and Martin, the vegans out of Black Grape. "), but never released.